"As the days dwindle down"...excerpted from "September Song" by Maxwell Anderson, herald the approaching holiday season. This joyful time that we spend with family and friends takes a lot of planning and preparing before the partaking. And that's all part of the holidays. 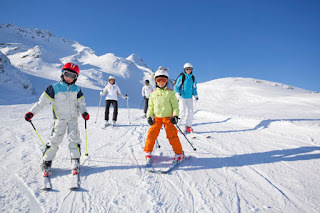 We expect to extend ourselves, giving to others to make the season enjoyable and memorable for all our special people. And then, it's January. Why not think of January as the time to "take a break" and "do your thing". After all the holiday preparation for everyone else, you deserve some rest and relaxation. I'm talking about as hassle-free a getaway as possible. Think "No Flights" if you are in south Florida as these getaways are round-trip from Miami or Fort Lauderdale! How About a Week on the Silver Spirit? What would be better than a roundtrip Fort Lauderdale cruise aboard Silversea's Silver Spirit? The Spirit departs on January 7th (giving you time to recover from the New Year celebration) and returns you all rested up on January 15th. You will have stops in Belize City; Santo Tomas, Guatemala; Costa Maya, Mexico; and Cozumel, Mexico. And during the sea days you will be entertained with lecture and enrichment programs; indulge in a wide range of facials, body wraps and massages and enjoy the amenities provided in your cabin. 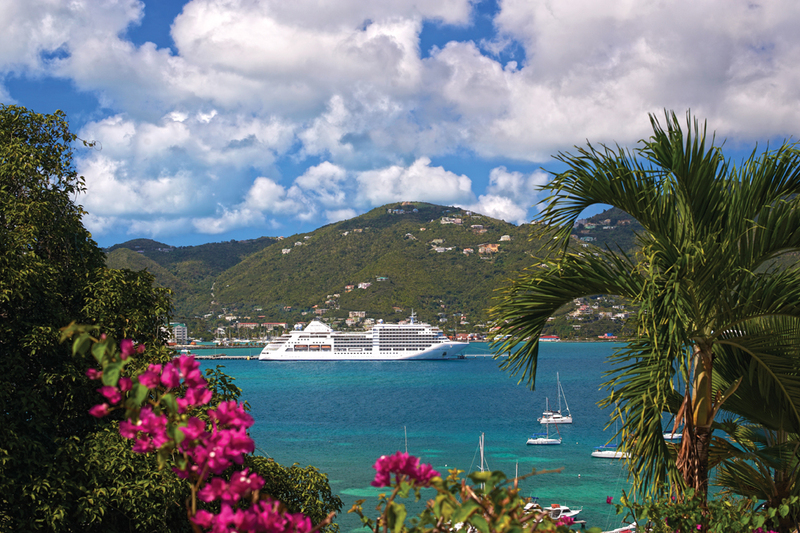 Silversea's all-inclusive lifestyle offers personalized service, renowned culinary excellence and enriching cruising experiences. How About 10 Days on the Riviera? 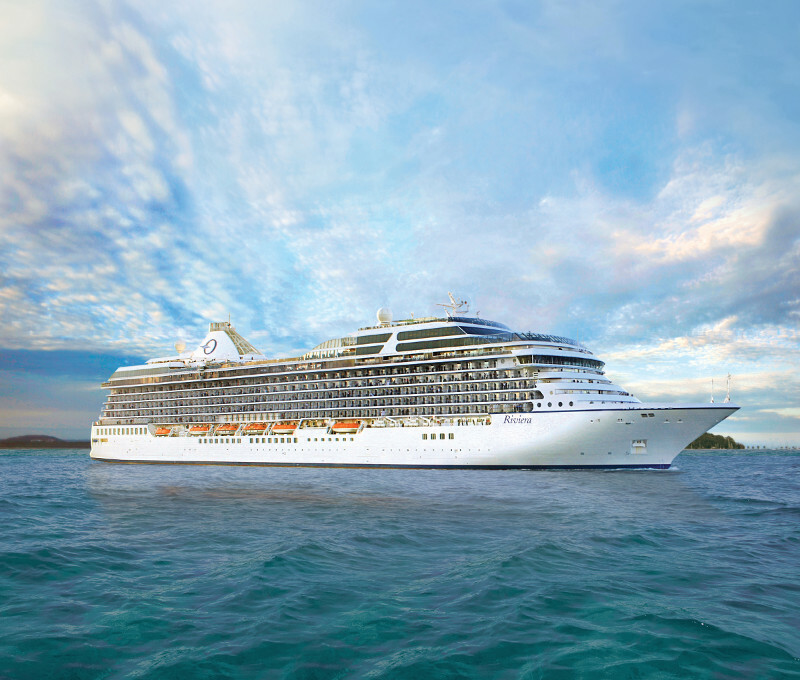 Oceania Cruises has a 10-day sailing aboard the Riviera sailing from Fort Lauderdale on January 13th and returning January 23rd. 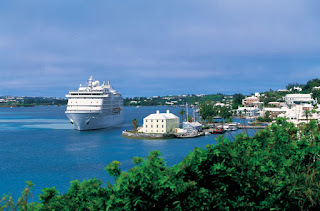 Your ports will include Key West; Costa Maya, Mexico; Belize City; Santo Tomas, Guatemala; Roatan, Honduras; Cozumel, Mexico; and the Cayman Islands. You'll have a chance to explore the majestic Mayan ruins near Costa Maya and just beyond Santo Tomas. You can snorkel in the beautiful warm waters surrounding Roatan. 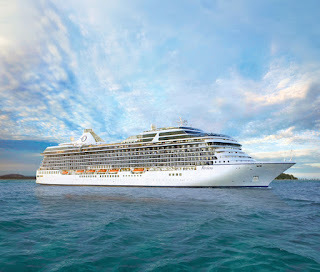 The Riviera has elegant accommodations designed for cruising enjoyment and features the Prestige Tranquility bed - an Oceania Cruises exclusive. How About 10 Days on the Navigator? The Regent Seven Seas Navigator provides an elegant getaway with a different itinerary. The Navigator sails from Miami on January 20th and brings you back completely rejuvenated on January 30th. Along the way you'll visit: Turks & Caicos Islands; San Juan, Puerto Rico; St. Maarten; Gustavia, St. Barts; Tortola, BVI; La Romana, Dominican Republic; Nassau. And while cruising the Bahamian waters you'll be able to relax in the world-famous Canyon Ranch Spa Club; enjoy afternoon tea and culinary demonstrations; and even share your bridge skills with the Bridge Master. Which cruise will you choose? They each offer great value for your dollar, and have an incredibly diverse range of amenities and activities. And let's not forget the diversity of dining venues, each offering an assortment of delicacies to please the most discerning palates. And yes you deserve it. Remember all of the wonderful things you did for everyone else during the holidays? So why not call a "Reid Relaxation Expert"? It's your time to "do your thing"
We're having a heat wave here in Florida. Actually not so unusual, but it is September. So isn't this the perfect time to think of a "cool" vacation? Well here at Reid Travel, we excel in the "Cool Vacation" category. 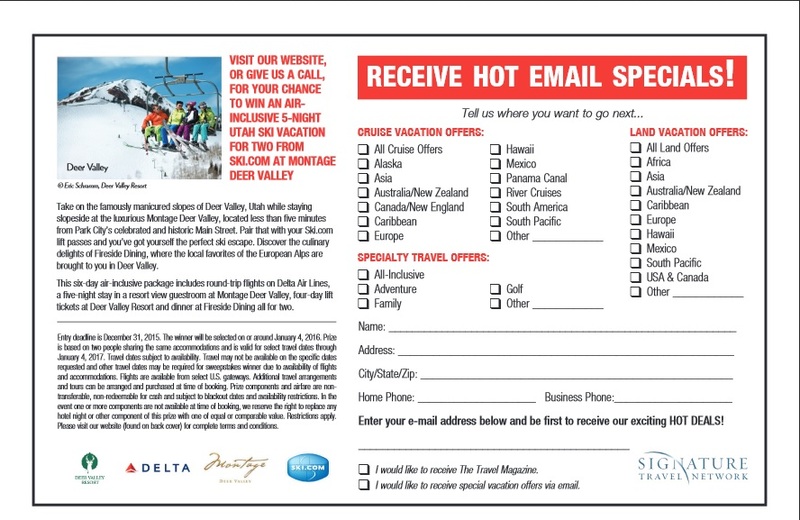 So we are giving everybody a chance to WIN an air-inclusive, 6-day, 5-night Utah Ski Vacation for two at the luxurious Montage Deer Valley. 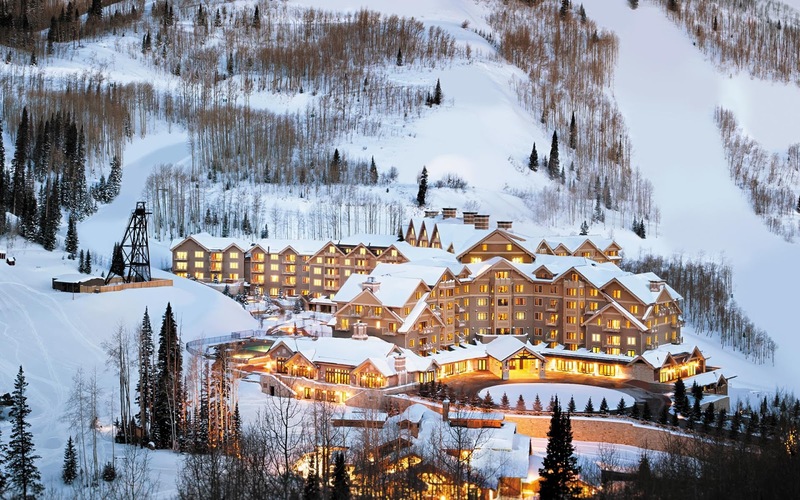 A "creme de la creme" ski vacation resort, The Montage Deer Valley is a mountain retreat located less than five minutes from Park City's celebrated Main Street, and is an easy 40-minute drive from Salt Lake City International Airport. It offers unrivaled ski-in/ski-out access to one of America's best ski resorts. Here you can downhill, uphill, cross-country or just loaf around Deer Valley. The Montage is also known for having the largest spa in Utah, where you can treat yourself to a pre, post, or instead of skiing, treatment and more. Other amazing year-round activities include hiking, mountain biking, golf, outdoor concerts, and fly-fishing- certainly enough to satisfy - based on snowfall, of course. 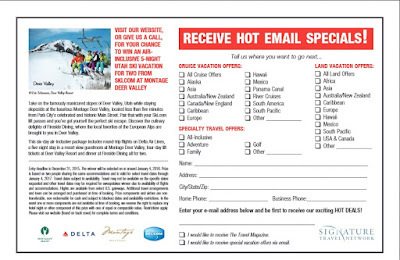 Pair that with your Ski.com lift passes and you've got the perfect ski escape. For the "foodie" five dining options, including a pub with its own bowling alley, will satisfy all culinary delights of Fireside Dining where the local favorites of the European Alps are brought to you in Deer Valley. lucky winner will be selected January 4, 2016.